I had the pleasure of holding a “Pop Up” jewellery shop at Tara’s Busy Kitchen this week. My dear friend Gemma is a very talented jewellery designer and she owns a company called Cabinet. They specialise in British made and British designed jewellery of the highest quality and I was privileged to have the opportunity to open up my house to sell their products. Gemma and I spent the afternoon setting up the displays ready for the guests to arrive. It was very difficult for me not to want to try every piece on as we went. Every piece is absolutely stunning in my opinion and I found it hard to resist. We prepared a delicious rum and ginger cocktail as a welcome drink plus some yummy canapés to have alongside. Blinis with smoked salmon, horseradish creme fraiche and caviar, some wonderful sourdough crackers that had brie and red currant jelly and brown shrimp vol-au-vents. Perfect little bite sized morsels to have alongside our drinks. By the time the event was in full swing there must have been about 15 guests all marvelling at the sparkling jewels in front of them. It was a wonderful evening and all that attended gave really positive feedback. Lots of little packages made their way out of the front door to find new homes. I look forward to seeing the jewels out and about adorning their new owners. On Sunday night I hosted “Cheese Night”. Cheese night is a little get together with a group of my girlfriends. I have mentioned it before on my blog. It normally happens every couple of months at one of the guests houses. It was my turn to host this time and Serena and Tash were my lovely cheese companions for the evening. The original cheese night members include our friend Emma who couldn’t make it this time unfortunately. I prepared a salad of roasted courgettes, feta cheese and toasted almonds with a honey dressing. Tash made cheese straws plus a sweet chilli cheese and chive dip. Complete with some delicious cheeses. Serena made a lemon and ricotta cake which topped off our delightful cheesey feast. As you might have guessed, every dish has to have some form of cheese in it. It’s our “homage to fromage” and it has been part of our social cake set for the last 4 years! Monday night I was back at Base and Barley for their official VIP launch night. We got to sample all of the pizzas on the menu.. I stuck to the vegetarian choices as the waiters brought them around. Steve and Serena ventured further afield. Steve’s particular favourite was a pizza that was topped with broccoli and bacon lardons. I stuck to prosecco for the evening but Steve sampled plenty of the beers. Base and Barley have a wonderful selection of craft beers and ales. The closest being from Crediton and then the selection spreads far and wide. One that he tried was from Iceland alongside one from Brooklyn. Steve was in his element. There was so much choice which was fantastic. Base and Barley gets a big thumbs up from Steve for their beers! We had a great evening.. Thank you Base and Barley for the invite and we hope to visit again soon for a proper sit down meal. There’s lots on the menu that I can’t wait to try. 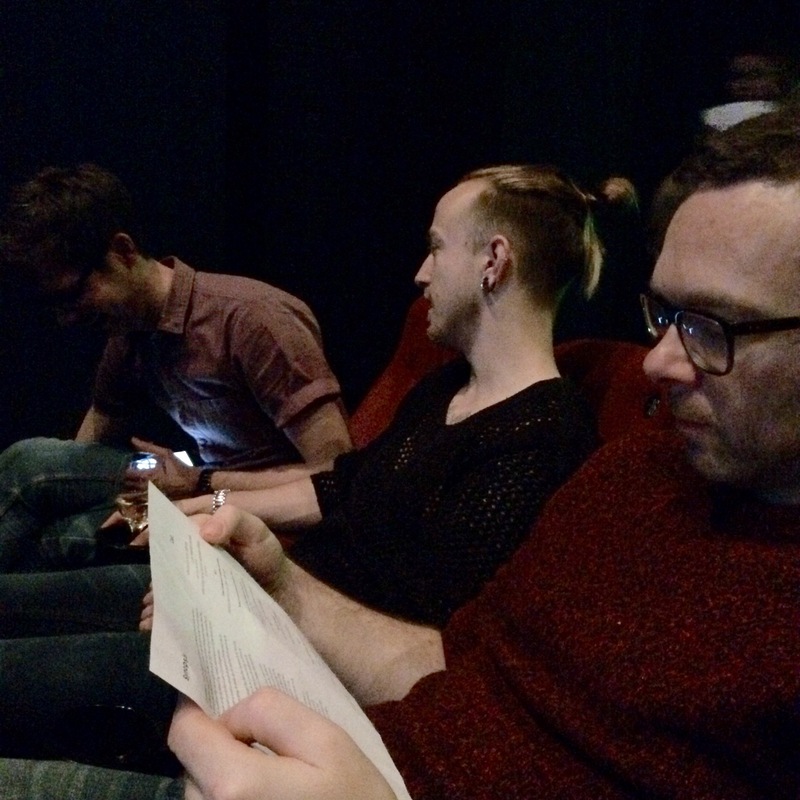 On Wednesday evening Steve and I met up with our friends Dan and Billy at The Picture House cinema in Exeter. They were showing The Royal Ballet live from the Royal Opera House performing The Nutcracker. A wonderful, festive ballet that pleases young and old alike. When we came out of the cinema I felt like I wanted to dance all the way home! I find watching ballets so inspiring. I have my own dance show in June next year so it’s always good to feel inspired with choreography. I popped along to the Farmers Market this morning to pick up a wreath from Shillingford Organics. I had purchase one from them last year so was pleased that they had a fine selection for me to choose from. Whilst making my decision I was taken aback by the colours of the wonderful produce on their stall. So beautiful. I am in awe of nature on occasions like this. Thursday evening was a FWF night. Fun With Fodder started many years ago with a group of girlfriends. We try to get together on a monthly basis to sample foods that each other has prepared. Our Christmas treat this year is that no one has to cook. We decided on making an order from Deliveroo. Tara’s Busy Kitchen HQ was the venue but the kitchen had a night off! We decided on Thai Orchid and got a selection of dishes for us all to share. It was tasty but not fabulous unfortunately. I have had Thai Orchid before and it has been far better. We had a good night regardless. A challenge was set between us to create or make a secret Santa present. I made homemade pear and date chutney plus some mince pies for my gift. In return I received some rather wonderful smelling green tea and coconut bath bombs made by Cat’s fair hands. Friday night was another pre Christmas get together. 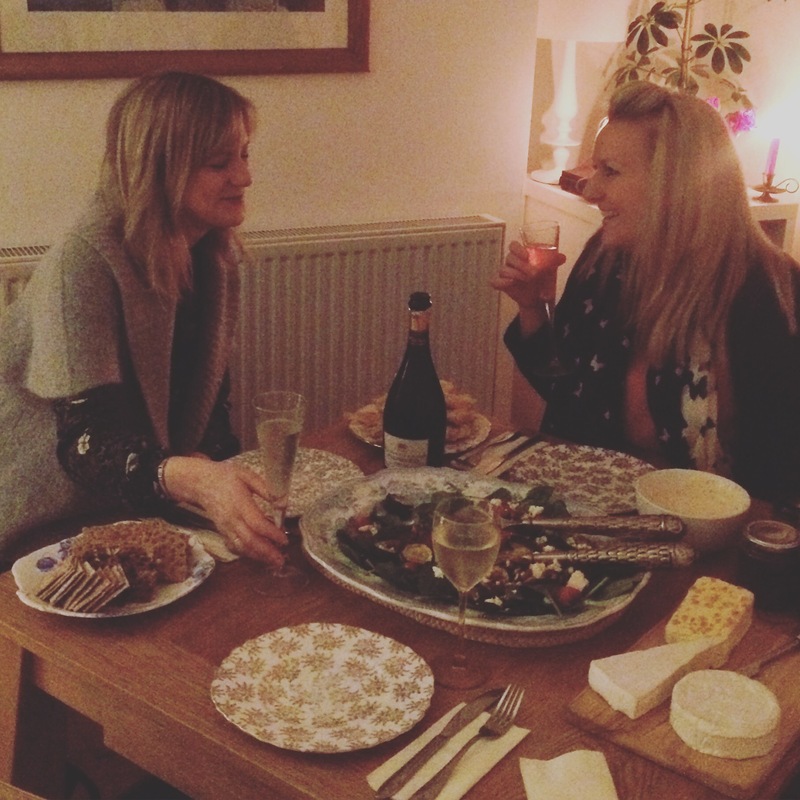 This time it was Sarah and Chloe that made it to Tara’s Busy Kitchen HQ for a little soirée. Sarah was in charge of the main course so popped over with fish and chips. Chloe was the dessert queen with mince pies from Ashburton Deli. I was in charge of liquid refreshment so had a bottle of prosecco chilled in the fridge ready for popping. Plus ginger beer chilling for those who were driving! I got out my napkins from Rosalind Bee too.. I think the fox looks a little sad that he can’t partake in our deep fried delights! It’s been a fabulous week this week crammed full of wonderful things and treats. I can’t quite believe that Christmas is less than a week away. I’m really looking forward to sharing it with you all. I hope you have managed to get all your Christmas shopping done and you are prepared with your food shopping. I have a food delivery set to arrive late on Tuesday evening ready for the festive frolics that begin on Wednesday. I have lots of nice recipes ready for Christmas Day and will share them with you at a later date. Have a wonderful week everybody and have a Happy Christmas!